It’s going on right now. Twenty-four hours a day through Halloween (Oct. 28-31). If you’re a romance reader, you’ll want to check it out. 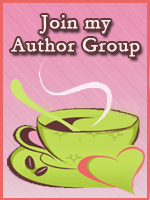 Dozens of authors are posting info on their books and excerpt for your reading pleasure. Peruse the offerings, comment to be entered to win a Nook e-reader. In addition, many authors are offering up copies of their books as prizes. A copy of Phantoms & Fantasies will be given away every day of the Spookapalooza event. This entry was posted in Annie Rayburn, Books, Everyday blather, Promo and tagged Annie Rayburn, Phantoms & Fantasies, Promo, TRS Spookapalooza. Bookmark the permalink.